Gandhi Medical College Bhopal: Admission, Fees, Cutoff etc. 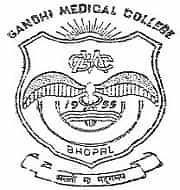 Gandhi Medical College Bhopal (GMC Bhopal) is one of the Oldest Government Medical Institute in Madhya Pradesh. It was founded in 1955 by the state Govt. of Madhya Pradesh. It offers a various course in both undergraduate and postgraduate level such as MBBS, MD, MS, Diploma etc. Gandhi Medical College Bhopal is popularly known as GMC Bhopal. It is affiliated with Barkatullah University and approved by the Medical Council of India. GMC Bhopal started teaching with 50 students in the first batch and recently celebrated its Silver Jubilee in 1980. In this article, we will provide you with the detailed information about Gandhi Medical College Bhopal Fees Structure, Course offered, Admission Procedure, Placement Stats, Cut-off, Facilities available and complete college review. A candidate can visit the official portal of the Department of Medical Education, Government of Madhya Pradesh to get themselves registered for NEET 2018 Madhya Pradesh State Counselling. The entire process of counselling can be best explained by the below-mentioned flowchart. Candidate applying for Medical/Dental Colleges in Madhya Pradesh must have to register themselves for the NEET counselling 2018. Counselling of NEET 2018 for All India Quota will be conducted in two rounds in online mode. The counselling will consist of these steps. UG Course Educational Qualification: 10+2 with Physics, Chemistry, Biology & English individually with a minimum of 50% marks (40% marks in case of SC/ST & 45% marks OBC Category) taken together in Physics, Chemistry & Biology. PG Course Graduation and Bachelor Degree in Medicine (MBBS). Diploma Course 12TH or High School Senior Secondary exam by the Central Board of Secondary Education (CBSE) or any equivalent exam conducted by any State Board or Equivalent. All SC/ST candidates have a relaxation of 5% in the minimum aggregate. Hostel Rent 10000/- per year 10000/- Rs. 10000/- Rs. 10000/- Rs. (Refundable) 10000/- per year 10000/- Rs. 10000/- Rs. 10000/- Rs. It is one of the premier Government Medical College in Madhya Pradesh. Top Medical Colleges In Madhya Pradesh 2018. Top Dental Colleges In Madhya Pradesh 2018. Top BAMS Colleges In Madhya Pradesh 2018. Top BHMS Colleges In Madhya Pradesh 2018.